Two of Australia’s finest ocean and surf swimming stars Ollie Signorini and Ali Day will come together in the Optus Swims Sydney Harbour on Saturday. Signorini, 21 and Day 27, will go head-to-head in the two kilometre swim around the Opera House for the start of Australia Swims – a nine-day celebration of Australia’s love for swimming and the water. The two stars of surf and swim are both examples of two young Australians who have lived most of their lives in the water. Newport surf club’s Signorini is the reigning Australian Open Surf Race champion and Day, the five-time Coolangatta Gold ironman champion is currently leading the Nutri-Grain Ironman Series after four rounds. Signorini will have a busy weekend, lining up against the likes of Rio Olympic champions Mack Horton and Italy’s Gregorio Paltrineiri at the NSW State Swimming Championships at the Sydney Olympic Park Aquatic Centre on Friday and Sunday. 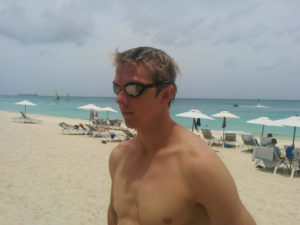 He swam the 400m freestyle heats today and will jump into Sydney Harbour for the 2km Optus Swims Sydney Harbour tomorrow with Day and then back up for the 1500m freestyle against the two best in the world on Sunday. 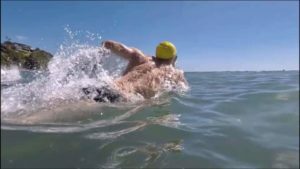 There will be no rest for Signorini, who will then make his way over to Adelaide’s Brighton Beach for the Australian 10km open water championship, before returning for the Annual Palm Beach to Whale Beach ocean swim. “It’s what I do and it’s what I training for,” said Signorini, who trains under Carlile Swimming Club’s head coach Justin Rothwell at Narrabeen and Manly. “Sydney Harbour will be a lot of fun and if we can encourage more Australians to swim every day then that is a good thing. 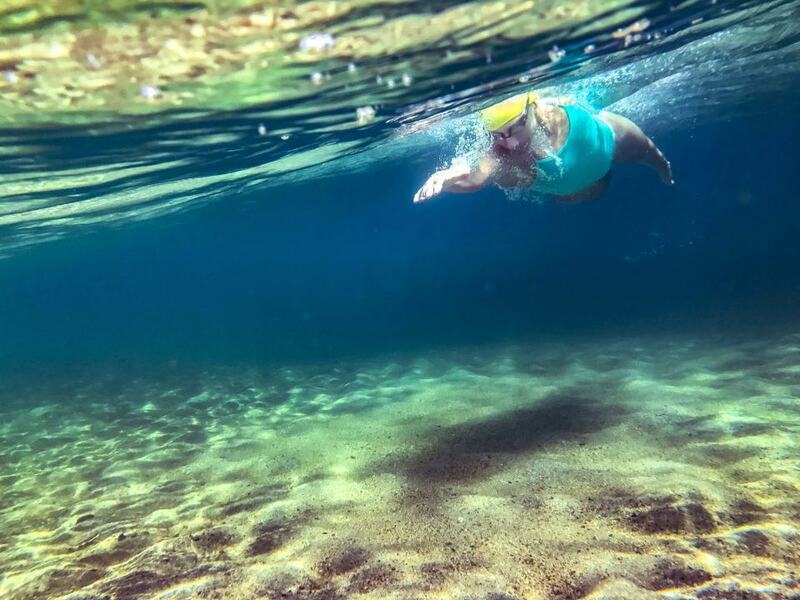 “I have been lucky enough to swim all round the world in London, Wales, Fiji, Hawaii, Hong Kong and almost every swim there is around Australia – from Palm Beach to Manly and Bondi. 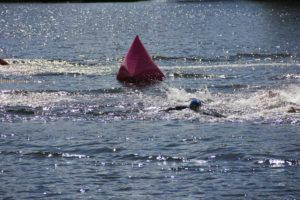 “I have lost count just how many swims I’ve done and at last count, I reckon it’s been 10 months since I missed a day in the water and that was only because I flew to England. “It’s either training at Manly or Narrabeen pools under my coach Justin Rothwell at the Carlile Swim Club, in the surf at Narrabeen or Newport or in the pool at home. “It’s a rare day that I’m not in the water, either the pool or the surf. NSW South Coast-born Surfers Paradise Surf Club ironman, Day is also privileged to swim every day with one of Australia’s elite swim squads under coach Richard Scarce, at Bond University on the Gold Coast. 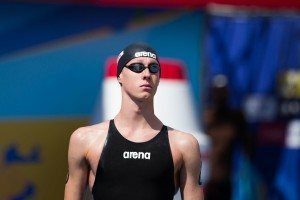 “I am lucky enough to train in the same pool, the same lanes as legends such as Cam McEvoy, Madi Wilson and rising star Elijah Winnington,” said Day. “And Ollie is a magnificent swimmer who did such a good job to win the Australian open surf race title – there are some big names on that list. “I’m absolutely honoured to get the call from Swimming Australia and Optus to join in what is a fun campaign. 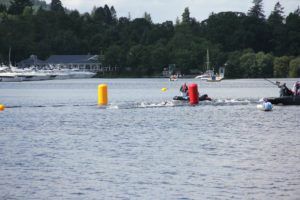 “I have swum all my life – it’s been my life and being an Ironman it is such a crucial, important part of what we do in our training routine. “I’m in the water every day and I am lucky enough to swim with some of the best swimmers in the world every morning. “I remember swimming in the rock pools as a youngster down on the NSW South Coast where we grew up and I love nothing more than going back there and reliving those memories – it was great fun. 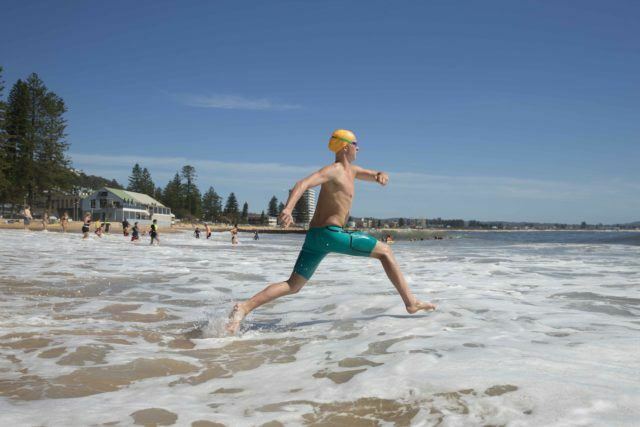 “I want every lifesaver around Australia to join in ‘Australia Swims’ and to get on social media and #AustraliaSwims and #Optus and to pledge their kilometres as we swim the virtual lap of Australia. 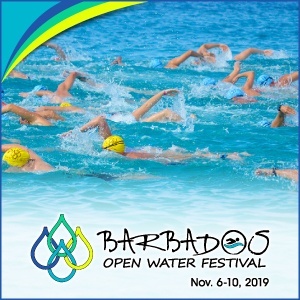 The nine-day festival that aims to encourage every Australian to reconnect with their love of water, even has Swimming Australia President John Bertrand AO, the man who skippered Australia II to the America’s Cup in 1983 excited. 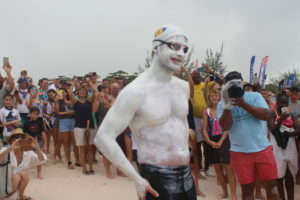 “Swimming is a unique sport with no age barriers, no gender barriers and no ability barriers – anyone can be a swimmer – it’s in our DNA,” said Bertrand. 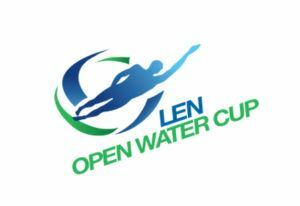 You can register at www.australiaswims.com.au. Get wet and join in the fun.